Imagine you have just arrived home from work. You wave your hand, and the lamp turns on, flashing the light in greeting. The home speaker begins to play music, but when you give it an exasperated look, it turns off. You make a coffee, but grimace because it’s too bitter. The coffee machine immediately offers to add sugar or milk. Two things are conspicuously absent from this vision of a not-too-distant future. One is an appliance with switches and knobs, and the other is a smartphone full of remote control apps. Our research indicates that consumers are increasingly moving towards a paradigmatic shift in how they expect to interact with technology. Ever more things are becoming connected, but the complexities of how to control them all are a different matter. On the one hand, alternative yet equally good user interface solutions for simple functions have existed for much longer than we’ve had electronic gadgets. A Westerner who experiences an Asian meal for the first time soon finds out that the user interface to that meal is a pair of chopsticks rather than a knife and fork. On the other hand, mass-market acceptance of digital technology has made the proliferation of user interfaces practically infinite. Every new device with a screen adds new user interface variations, which are then multiplied by the number of apps within each gadget. Today you have to know all the devices. But tomorrow all the devices will have to know you. If consumers continue to be faced with the prospect of learning and relearning how to use devices in the face of an ever-increasing pace of technological change, they will become increasingly reluctant to buy in to the future. We might already be close to that breaking point. The current generation of “flat” user interfaces do not use 3D effects or embellishments to make clickable interface elements, such as buttons, stand out. It is difficult for users to know where to click. As a result, they navigate web pages 22 percent slower.1 For this reason, our trends for 2018 and beyond focus on various aspects of more direct interaction between consumers and technology. With 5G, connectivity is set to become ubiquitous. This might sound simple, but it involves a huge technology upgrade; devices must be able to relay complex human interaction data to cloud-based processing, and respond intuitively within milliseconds. The Internet of Things (IoT) must provide interoperability between all devices, and allow for mobility. Network availability also needs to be maintained, so that devices do not suddenly go offline and lose their human-like capabilities. Digital tech is beginning to interact on human terms. Consumers who already use intelligent voice assistants are leading a behavioral change. In fact, more than half of them believe we will use body language, intonation, touch and gestures to interact with tech just like we do with people; two out of three think this will happen in only three years. Today, smartphones are almost synonymous with internet use. But when consumers increasingly interact with other types of tech, they may well start to think about a general need for connectivity. Given that one in three intelligent voice assistant users think that eventually they will not be able to open doors, cook food or even brush their teeth without an internet connection, it is clear that reliable connectivity will become all important. But it may also be necessary to think about what we will use less because of this change. Potentially, we will have a reduced need for smartphone-based remote control apps. And although the keyboard and mouse are universally present and accepted by almost everyone today, 81 percent of intelligent voice assistant users actually believe such traditional input devices will be a thing of the past in only 5 years. Will we miss them? If direct interaction turns out to be more convenient, we certainly won’t. There are many other interfaces that will also be replaced by direct interaction and a reliance on connectivity. For example, the advanced internet users in our survey voted self-driving cars as the next tech gadget that people everywhere will eventually buy. This means not only the end of steering wheels and pedals, but also that cars will have to directly interact with pedestrians. For example, how does someone waiting at a crossing know when they can go if there is no driver in the car to gesture to them? In the near future, we might find that we use wireless earphones all day long – and even sleep with them in too. Many smartphone makers are now abandoning the headphone jack in favor of digital multi-function ports, in a way forcing consumers to seek out wireless alternatives instead. Some accept this change, while others do not; but all might agree that the headphone jack represents an analogue era that we no longer live in. This means when consumers are upgrading their phones they also need to upgrade their earphones. And just as people expect new functions in a phone, it turns out that they expect new functions in earphones too. Today, earphones are already used not only to enable sounds but also to block them out. For example, noisecancelling functionality has been serving this dual purpose for some time. We use headphones and earphones to select what we want and do not want to hear. It is therefore not surprising that half of all advanced internet users surveyed think that earphones that let you select which people in a room you want to hear clearly, and which people you want to mute, will be mainstream in only three years. But for that to become a reality, earphones will need to be more aware of our intentions and allow for more direct user control. Furthermore, such functionality can be applied in many situations. In fact, 81 percent believe earphones that charge wirelessly, so that you never have to take them out at all, will be mainstream in only 5 years. The most anticipated functionality for such earphones is real-time translation of all languages, desired by 63 percent of respondents. But 52 percent also want to block out the sound of snoring family members in order to sleep. As many as 30 percent of respondents say new technology makes it impossible to keep their skills up to date. This means some of us feel like total beginners even when performing everyday routine tasks. The pace of technological change is increasing almost every day, and it is easy to feel stress at not being able to keep up. For some, this is probably manifested as a feeling of helplessness. But for many, it may present an opportunity. In fact, almost half of consumers think technology will make learning even advanced professions much quicker. On the other hand, endeavors to learn and relearn will be a never-ending rat race, with 55 percent believing that technological change will accelerate the pace of change in skills needed at work. Luckily, the internet can also help consumers cope with this new situation. As many as 46 percent say the internet allows them to learn and forget skills at a faster pace than ever before. Generally, we learn skills only at the moment we need them. Already today, almost half say they often just search the internet for how to do things, because they have either forgotten or because there is a new way to do it anyway. Social media promised user-driven two-way communication, giving voice and power to individual consumers and redressing the balance between senders and receivers. However, social media is now being overrun by one-sided broadcasters. Influencers with money buy followers and those with the right know-how use artificial intelligence (AI) bots to fill social media with traditional broadcasting messages – turning social media back into a platform of one-way communication. Consumers are well aware that social networks are increasingly becoming the scene for standardized broadcast messages that are more designed to spread an opinion than to invite dialogue and reciprocity. Fifty-five percent think influential groups use social networks to broadcast their messages, and a similar number think politicians use social media to spread propaganda. Thirty-nine percent think celebrities pay to get more followers, while as many are getting tired of requests from companies to rate them and like them online. In fact, one in three confess that they do not really read other people’s status updates, implying they do not neccessarily pay attention to what they see online anyway. On the other hand, half of the advanced internet users surveyed say AI would be useful to help check whether facts stated on social networks are true or false. The same number of respondents would also like to use AI to verify the truthfulness of what politicians say. We humans sometimes favor automated communication over spontaneous dialogue. Messaging apps in smartphones and smart watches are already offering lists of predefined answers that we use to reply even to our nearest and dearest. As many as 41 percent of thosewho currently use intelligent voice assistants would even want to use AI to automate their email replies. Even though we may find it acceptable to give impersonal, machine like responses to others, we must realize that we are also receiving them in return. The question as to whether we humans really want to engage in sustained dialogue still remains open. What would happen if we leave all dialogue to machines instead? Given that as many as 38 percent of those who currently already use intelligent voice assistants would like to use AI to write social network status updates, this is a question that needs to be answered. Would a world where only AI assistants interact allow for a better exchange of opinion? Ads might become too smart for their own good. Consumers have a love-hate relationship with advertising. In our study, 40 percent say they do not mind advertising if it means they get free services, whereas just over a third say they actually dislike ads. This tension will remain, as the online advertising industry will certainly jump at the chance to create more direct interaction with consumers. Simultaneously, consumers themselves also see an opportunity to employ cutting-edge tech to make ads less invasive. For instance, 6 in 10 want to employ AI to block out online ads. Speaking of AI, 42 percent think companies will use it to make intelligent advertising that knows exactly how to persuade us to buy things. On its own, that would leave people quite exposed to commercial exploitation. But at the same time, 6 out of 10 consumers expect to be able to use AI for price comparisons, thus helping them to select other suppliers. This could cause issues, with consumers becoming reliant on an electronic assistant for their purchases. For example, 57 percent of current intelligent voice assistant users would like an AI to help them with everyday shopping. But many already use a voice assistant that has been developed by an advertising company or retailer. However, some believe the urge to provide compelling experiences might eventually cause ads to defeat their own purpose. Today, only a proportion of consumers use premium versions of smartphone apps when free versions exist. However, ads using augmented reality (AR) and virtual reality (VR) will gain app-like functionality and could in essence turn into free versions of the products or services themselves. For this reason, more than half of current AR or VR users think ads will eventually replace the products being advertised. For example, you might experience a beach destination in a VR ad and realize you do not need the actual vacation anymore. Machines that mimic human communication can make us feel surprisingly awkward. One thing that we have all been practicing since the day we were born is communication with other humans. Obviously, this also makes us experts at knowing when an interaction, even a familiar one, is not quite human after all. Although people quite easily assign human characteristics to toys, phones and pets, we can quickly become suspicious if the objects become too human-like. For example, some people who have visited the Madame Tussauds wax museum or any similar place might recall how their feelings shifted from wonder to dislike when looking at the figures on display. The fact that researchers are now creating AI-enabled robots that mimic human expression down to the slightest detail  may not necessarily improve our aversion to things pretending to be human. A future where we move towards more direct communication with devices all around us will be full of pitfalls. Will machines communicate just like humans if they grow up communicating with us? Or will humans refuse to interact if machines become too similar to us? In our research, 50 percent of respondents said that not being able to tell the difference between human and machine would spook them out. In other words, the feeling of uncertainty alone would be enough to create a negative reaction. This has implications for automation of some processes that are already well underway. For example, as many as one in three say they would avoid contacting companies that use intelligent robots in customer service. Most likely, the smartphone is the first device that will expose consumers to these issues. Today, we already use biometric data, such as fingerprints or even facial recognition, to unlock the screen. But if the smartphone were to use such information interactively, many will feel uneasy; almost half of consumers said they would be spooked out by a smartphone that constantly watches their face. And as many as 40 percent say that it would be spooky if their smartphone sees when they are happy, sad or bored and responds accordingly. A natural instinct in such situations might be to try to hide your face. And indeed, one in three would like to wear glasses that make it impossible for facial recognition software in their smartphone or social network to recognize them. If consumers were to develop such mistrust of their personal devices and communication services, they would also soon doubt similar technology used on a societal level. Thus, one in three would also like to wear glasses that make it impossible for surveillance cameras to recognize them. Creating the freedom to engage in leisure may be more important than the need to preserve work. One in five students and working people in our study believe robots will take their jobs before they retire. Some people certainly look to such a future with trepidation, whereas others may be looking forward to a day that is free from the boredom and stress of the daily work routine. In any case, those who think robots will take over their jobs are outnumbered by the 32 percent who do not think they need a job to find meaningful things to do in life. Furthermore, almost 4 in 10 believe their hobbies may also develop into new sources of income. For this reason, it is rather likely that more people will face a situation where work and leisure become more intertwined and income is garnered from many different sources. At the core of this is of course the strong tie between work and income. If that connection is severed, more people would be willing to forgo work. In our research, 49 percent said they are in fact interested in a universal basic income, and as many as 1 in 3 think it is OK to not have a job as long as their economic situation is not hurt. But is it realistic to believe that income will be separated from work? The alternative may be to have robots work for you rather than having them take your job. An example could be a taxi driver who would rather manage a few self-driving taxis than drive himself. Forty percent say they would indeed like a robot alter ego that works and earns income for them. But both of these scenarios would lead to fewer humans actually working. Are we then heading towards a leisure society? In fact, one in three would like having everything handled by intelligent robots, giving them all the free time they could ever want. And almost a quarter of respondents even see a future where intelligent robots take control of everything. Our photos are memories we have captured to revisit time and again, but they may be turning into rooms we can freely walk around in. are necessarily the best quality, but because they are always there when you need them. When that memorable moment suddenly happens, the smartphone is with you. For this reason, our memories have changed from physical photo albums stowed away in a cabinet, to digital albums on our smartphones. However, new technologies such as light field photography are changing the nature of photos themselves, and we will soon be able to revisit our memories from more angles than a flat picture frame allows. Three out of four consumers believe taking photos at events such as weddings or birthdays and revisiting them in VR as if you were one of the guests will be commonplace in only five years. As many think we will also do this on holiday and at parties by then. In order to do this, one in two already want a smartphone camera that lets you capture everything around you in 3D. Those who are currently using AR or VR have a higher level of interest in this area, with 56 percent even wanting contact lenses with built-in AR or VR functionality. But if photos become rooms, consumers will also need to be able to manipulate objects in these rooms. In this light, it is not a big surprise that as many as 55 percent of those currently using AR or VR would also like gloves or shoes that allow you to interact with virtual objects. City streets are getting so crowded that citizens are looking to the skies for relief. Urbanization keeps accelerating, as cities become increasingly powerful drivers of the global economy. But whereas cities not only contain the majority of the earth’s population, and consume an even higher proportion of its natural resources, cities in fact only occupy one percent or less of the land area worldwide. Cities are, in other words, extremely space-challenged places. Yet, from the perception of space, cities seem to be inhabited by people who ave not realized there is a third dimension; apart from a few airplanes, the kies above are mostly empty. But as city populations continue their extensive rowth, this might change. Already today, 39 percent think their city is so congested that it needs a road network in the air for drones and flying vehicles. Obviously, city dwellers recognize that new layers of streets in the air would ause some disturbances in airplane traffic, and would also increase overall treet noise. But an even bigger concern, voiced by 38 percent, is the possibility of drones actually falling on their heads. Hence, there would need to be a way of knowing where drones fly, so that citizens could take similar precautions as when they cross streets on the ground. Therefore 55 percent of current AR or VR users would like an AR smartphone app that visualizes these air corridors. The fact that 4 out of 10 respondents are interested in using flying taxis might reveal more about current frustration levels among city dwellers than it does about the most economically viable type of transport. A more potentially likely near-future scenario may be that competition to increase the delivery speed of consumer purchases takes to the air. For example, almost half of respondents want drones that deliver takeout food so quickly that the dishes are still hot when they arrive. Given the extreme environment of the world’s largest cities, this could happen quicker than you might imagine. In fact 77 percent think most online retailers will use drones in order to minimize delivery times in only 5 years. A connected world will require mobile power. Keeping the power flowing will be as critical as maintaining connectivity; if either goes down, instant disruption will ensue. There are of course many aspects to how we will power our hyper-connected lives. Sustainability of resources might be one reason why consumers now rate electricity as the most popular energy source – 48 percent even think electricity should power airplanes. Another aspect is convenience, which could explain why consumers have high expectations of batteries. Fifty-six percent of advanced internet users expect smart battery technology to fundamentally change how we power everything from phones to cars. For many consumers, their smartphone’s battery doesn’t last a day without dying, and 71 percent want long-lasting batteries that they don’t need to worry about charging. The same percentage of respondents also want batteries you can fully charge in minutes, just in case. Consumers have been asking for batteries such as these for years, but now more than 80 percent of respondents believe they will be mainstream in only 5 years. One in two even thinks charging batteries using radio signals in the air around us will be commonplace in only three years. It might be the renewed focus on electricity in general, and electric cars in particular, that makes people believe innovation in battery technology will pick up speed. As many as 63 percent want electricity to power cars, whereas only 33 percent prefer either oil or gas. Still, one in three believes fuel cars will not easily be replaced, indicating that there could still be some speed bumps ahead on the road to a fully charged future. This report presents insights based on Ericsson’s long-standing consumer trends program, now in its seventh year. The quantitative results referred to in the report are based on an online survey of 5,141 advanced internet users in Johannesburg, London, Mexico City, Moscow, New York, San Francisco, São Paulo, Shanghai, Sydney and Tokyo that was carried out in October 2017. Respondents were advanced internet users aged 15−69, who have an urban early adopter profile with high average use of new digital technologies such as intelligent voice assistants, virtual reality headsets and augmented reality applications. Correspondingly, they represent only 30 million citizens out of around 180 million living in the metropolitan areas surveyed, and this, in turn, is just a small fraction of consumers globally. However, we believe their early adopter profile makes them important to understand when exploring future trends. When I began investing nearly five years ago in 2013, there were clear delineations between investment rounds — a founding team would raise from friends and family (and eventually, through scouts and Syndicates), progress to seed funds (established ones institutionalizing while new ones sprouted up), and then reach the promised land of the institutional Series A round, typically led by an established VC firm with a history of joining boards, maintaining ownership, and needing to drive large outcomes over many years to make their fund vehicles profitable. There was little cross-stage investing and many folks became cognizant of potential signaling risks when taking money from firms who would make an offer outside their known sweet spot. Now with 2018 under full swing, those once-clear delineations are at best muddled. Nearly every VC, seed fund, and angel investor in the Bay Area is investing earlier and earlier to the point where “pre-seed” as an investment category has been normalized in our lexicon. With the exception of a few of the most focused funds — think: Benchmark focusing on Series A and Bs, or firms like IVP or Meritech which focus on post-traction growth rounds) — the Bay Area is now in a free-for-all, no-rules-barred competition to identify and partner with entrepreneurial talent before traction, before product-market fit, and before a team can demonstrate the evidentiary proof once required to initiate multi-million dollar wires. When the leadership of firms like USV and Sequoia publicly state that seed rounds are important to them, we have to step back and parse what it means. Let’s also not forget Sequoia’s pioneering work at creating deal funnels with their scout program and also by helping Y Combinator get off the ground. A few years ago now, a16z recruited Chris Dixonand Khosla Ventures recruited Keith Rabois, notable hires as both Dixon and Rabois were highly-visible, proven angel and seed investors. Since then, both have gone on to continue to make incredible seed investments with their new VC checkbooks (while also investing in more traditional VC style rounds). During these past five years as I’ve tried to learn to become an investor, we’ve witnessed unprecedented, orthogonal changes to the ecosystem: AngelList Syndicates are now mostly private and increasingly responsible for early-stage financings; “pre-seed” funds market themselves as “first check in” and “pre-product” backed by institutional capital; the more established seed funds which began in the previous decade have “bulked up” to become nearly the size of USV, or even larger; the established VC funds have launched discovery funds keep their pulse on the early-stage market; hundreds of new investment firms across the spectrum (seed to growth) have sprouted, seemingly out of nowhere, eager to find the next Uber; and mega-VC funds like Softbank’s $100B Vision Fund and Mubadala, a $50B+ sovereign wealth fund headquartered in Abu Dhabi, which has opened a new office in San Francisco. And, there you have it… an entire new seed ecosystem and “seed stage reset” in the Bay Area. As I tweeted out a few months ago, nearly every seed fund and larger VC may end colliding around a $3M round at $12-15M post-money. Call them mango seeds or call them small Series As. Whatever label you choose, it is clear professional investors are trying to invest much earlier than they have before. Founders now in the Bay Area (theoretically) have more capital sources to pitch to, but will also have to be able to decipher “option” seed checks versus concentrated seed checks from large VCs; traditional seed funds and micro funds will face a new type of competition; larger VC firms will need to manage more investments across their GP ranks, which may force them to hire more or stress-test bandwidth, a small price to pay for the luxury of turning over more cards; and larger VC funds will be able to see talented teams earlier, track them, get to know them, and see more evidence before committing more money to a particular company — this is of critical importance right now in the Bay Area given the local cost inflation and how much of VC $ are plunked right into high-priced office rents and salaries, which largely go into sky high residential rents. A lot of good money was followed by bad money in recent years, especially in 2014-15. The Bay Area is trying to learn from that and reset the system, which effectively starts now at seed — or the small Series A, or whatever term you’d like to use. There’s no more signaling risk. There’s no more stage focus. There’s no more stigma around party rounds with VCs or taking money from a successful crypto project that ICO’d. The old rules of seed are now history and will eventually be rewritten. Buckle up and enjoy the ride! CVC units have proliferated in recent years, but corporate venture’s roots go back to the dawn of America’s 20th Century business giants. On On June 8, 2016 hundreds of businesspeople filed into the Metropolitan Pavilion in New York’s Chelsea neighborhood for a conversation featuring Fred Wilson of Union Square Ventures. They probably didn’t expect a take-down of corporate venture capital at the Future of Fintech conference, since corporate investors weighed heavily on the attendee and panelist list. But that’s what they got. Wilson’s comments cut against the grain. Corporate startup investing has actually grown steadily in recent years, with large companies from IBM to 7-Eleven investing in startups both directly and especially through dedicated venture capital arms. CVC units have become a relatively common feature of large corporate organizations, and companies seemingly far removed from tech and biotech are investing in startups, including Coca-Cola, Wal-Mart, and Campbell Soup Company. So why do Fortune 500 corporations start corporate venture units and invest in small, risky companies developing untested products and services? Is it realistic for them to imagine they can absorb innovative technologies and business models simply by taking a stake in a startup? Can they compete for deals against specialists like Wilson and other top VCs who may be better compensated? To answer these questions, it’s important to understand the history of corporate venture capital. 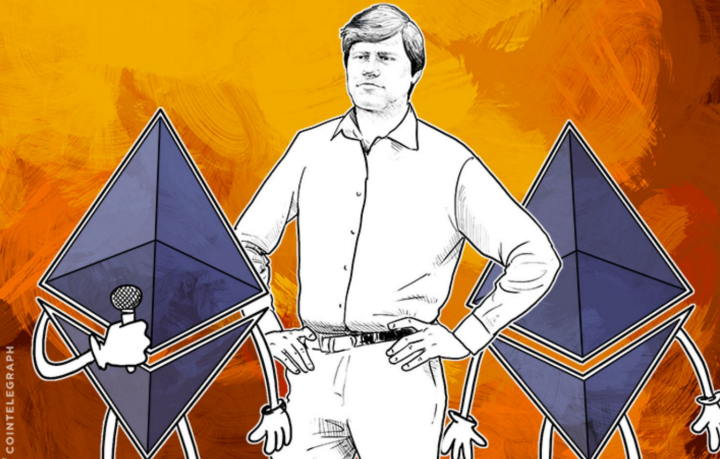 Digging into the history, it’s clear that the tensions and contradictions surrounding CVC have been there from the start: the tension between financial and strategic aims, the contradictory evidence over whether startup investing actually works as a form of “outsourced R&D,” and the difficulty in competing for the best deals. As CVCs increase in number and diversity, it will become increasingly important to understand their historical origins, motivations, and constraints. In some sense, corporate venture capital can be traced back to the earliest days of America’s business giants. It was 1914 when Pierre S. du Pont, president of chemical and plastics manufacturer DuPont, invested in a still private 6-year-old automobile startup named General Motors. Pierre du Pont had picked a winner. Like shares in a present-day Silicon Valley success, the stock leapt in value seven-fold over the course of World War I as wartime needs led to increased demand for automobiles. After the war, the companies would become even more intertwined. DuPont’s board of directors invested $25M in GM, betting the cash injection could speed GM’s development, which in turn would also expand the demand for DuPont’s own goods — including artificial leather, plastics, and paints. Not to mention, they saw GM as a promising investment. 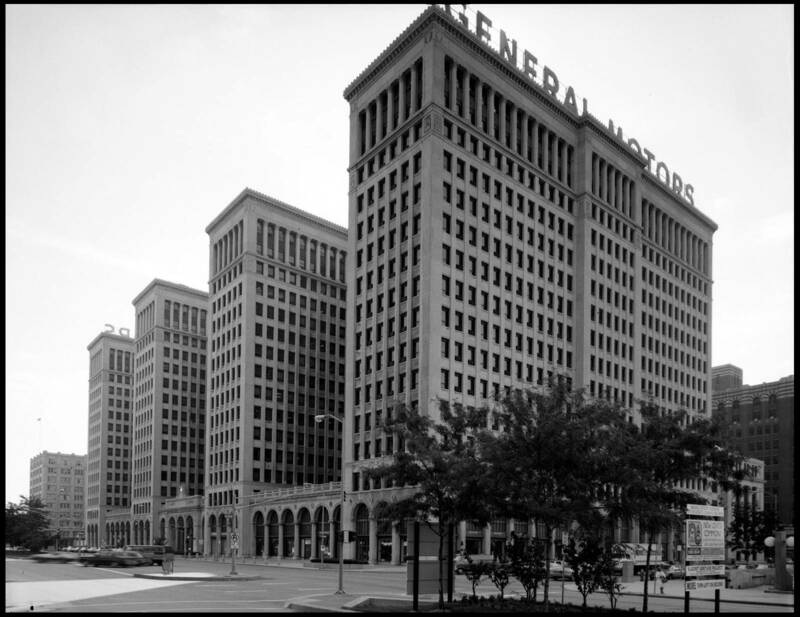 The company, which had gone public in 1916, was growing sales 56% annually, already had over 85,000 employees, and had begun building a new Detroit headquarters for its executives. In other words, DuPont’s bet on GM blended strategic and financial aims, a mixed strategy that would also later come to define more formal corporate venture capital units. DuPont, along with companies like 3M and Alcoa, would go on to pioneer the first major era of corporate venture investing. DuPont, in fact, developed the largest corporate venture program. This first flowering of CVC stretched from the late fifties and early sixties, roughly, until the stagflation crises of the seventies. The prevailing spirit of American big business at mid-century favored large diversified corporations operating in many sectors. The head of General Motors, which then employed hundreds of thousands of employees, could plausibly say that what was good for GM was good for the country. The push for diversification was, in part, a result of strict anti-trust enforcement following the Great Depression, which prevented companies from exerting too much control in any of their established markets and forced them to look to new opportunities in order to increase profits. For companies looking to expand, corporate venture investing became a natural way to extend a company’s reach into a variety of different sectors and industries. Fast growing companies wanted to diversify and find new markets. American industrial conglomerates, at the height of their success, were flush with cash and wanted to put it to productive use. Venture capital was experiencing its first successes with the nascent tech industry, providing a model for corporations to follow. CVC investors during this early period included many titans of American industry: Dupont, 3M, Alcoa, Boeing, Dow, Ford, GE, General Dynamics, Mobil, Monsanto, Ralston Purina, Singer, WR Grace, and Union Carbide. Not many of these companies are the sort of brands we would traditionally associate with venture capital (although amidst the current resurgence of CVC programs, many of these companies that have survived do in fact have CVC programs today). Earlier in the 20th Century, venture capital was not always exclusively tied to the tech or pharma industries. Indeed, there was not much of a tech industry to speak of during this period — computers still took up entire rooms and had not yet emerged from elite corridors into popular consciousness. Early CVC investors employed a variety of CVC models, often at the same time. Companies invested in internal employee ventures, and tried to spin out languishing in-house technologies into new ventures. In addition, corporations also invested in external startups, usually firms that addressed the parent corporation’s needs or strategic objectives, as was the case with DuPont and 3M. The most successful of these early CVC programs was run by 3M, whose internal CVC program famously produced Post-it notes, a classic business school case study. But there were also examples of companies that stretched further with their venture arms, looking far beyond their core businesses and embracing new technology as the key means of diversifying. While this may have been prescient, it was not necessarily prudent. An emblematic program of the first CVC era was Exxon Enterprises. Exxon was probably the largest CVC investor of the 1970s, overtaking DuPont, which is thought to have had the largest program in the 1960s. 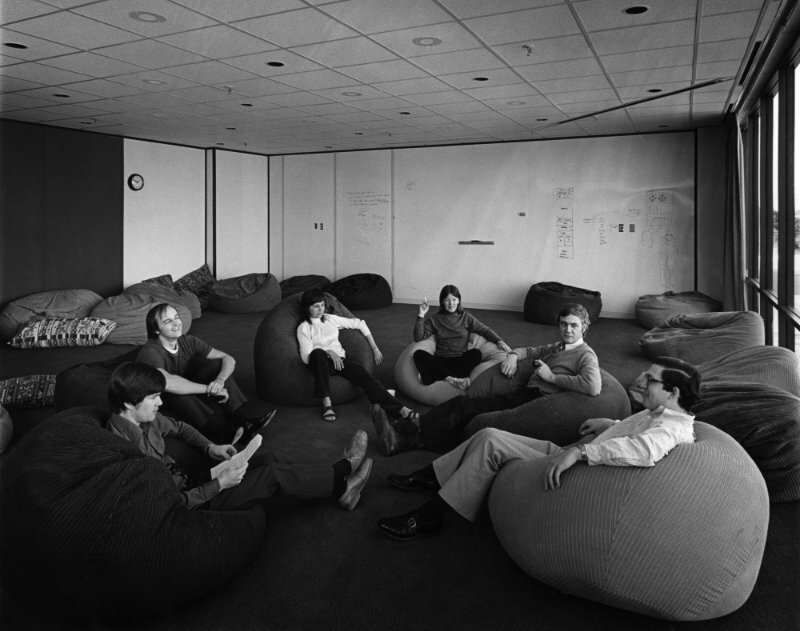 The group was founded in 1964 with the intention of exploiting underutilized technologies from Exxon’s corporate labs. The group then later began to make minority investments in external startups and finally pivoted one final time to focus on computing systems for commercial use. Behind Exxon’s push to diversify beyond the oil business were the 1970s energy crises, which began in 1973. With Middle Eastern countries and OPEC suddenly seemingly willing to choke off the largest sources of oil, the prognosis for the industry became much more uncertain. The president of Exxon Enterprises said in 1976 that the goal of the program was “to involve the corporation in new technologies and in new business opportunities that could have some significance in the 1980s and beyond.” Exxon Enterprises invested in 37 ventures during the 1970s1, about half internal and half external; companies with names like Qume, Vydec, Ramtek, Qwip, and Xentex. These companies made products far outside of Exxon’s core business: a test scoring machine, a high-speed printer, air pollution mitigation technology, a text-editing machine, surgery equipment, solar heating panels, graphite composite golf club shafts, and advanced computers (a partial list can be found here). Exxon Enterprises also had two wholly owned subsidiaries, a company that manufactured and sold gasoline pumps and other service–station equipment and Exxon Nuclear, a commercial supplier of nuclear fuel products. A company spokesperson told the New York Times in 1976 that small venture investments were one of the only ways the company could diversify while avoiding anti-trust litigation. The company, itself the product of a landmark antitrust suit, did, indeed, have a major acquisition blocked by the government a few years later. As the years dragged on, Exxon grew impatient with its investments and tried to merge and consolidate these ventures under Exxon’s corporate structure, but the entrepreneurs, who had been promised relative freedom to pursue their projects as they saw fit, fled and the efforts collapsed, leading to tens of millions of dollars in losses. 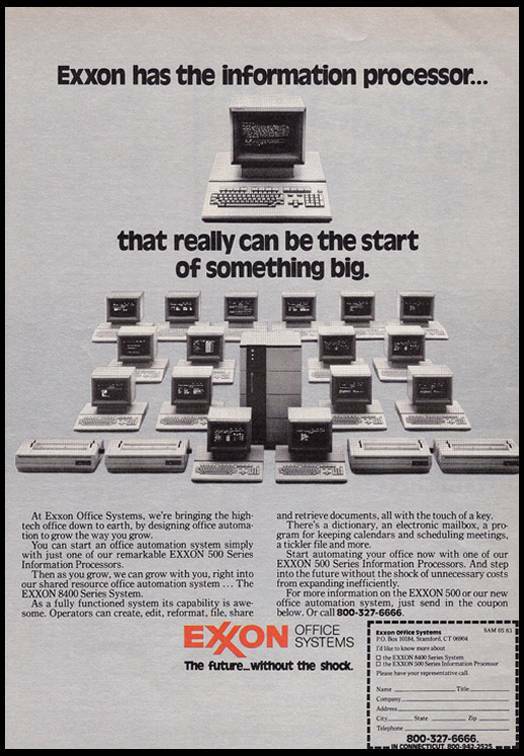 Exxon Enterprises then regrouped and refocused, putting its emphasis on organizing its companies to sell computing systems and aspiring to become the next IBM or Apple. In fact, the company actually released a personal computer in 1982. The first wave of corporate venture capital was largely finished by 1973, although some companies, as we have seen, continued to soldier on through the decade. The immediate cause of the decline was the economic downturn — the oil shocks and the stagflation crises — which led to the collapse of the IPO market and dried up the rich cash flows that had been funding much CVC activity. In addition, the seventies saw the “shareholders’ revolution” and companies pulled apart during the beginning of corporate raider era. There was also more lax anti-trust regulation. All this put an end to the frantic diversification pushing the first wave of CVC. The average CVC program of this first era lasted four years. Another, less-known reason for the decline in CVC was a substantial increase to the capital gains tax in 1969, which hurt stand-alone venture capital firms — which many corporations emulated. By 1978, only 20 US corporations had an active CVC program.2 Around this time, however, regulatory, cultural, and technological changes took hold that would stimulate and spur the second wave of corporate venture capital activity into action. The release of the first personal computers in the late 1970s was the signature event that would ultimately drive the second wave of corporate venture capital investment. While corporations in the first wave looked inward for innovation and invested externally to diversify their businesses, the second wave was marked by recognition of the epochal changes introduced by computers and a sense in the business community that they must engage or risk obsolescence. 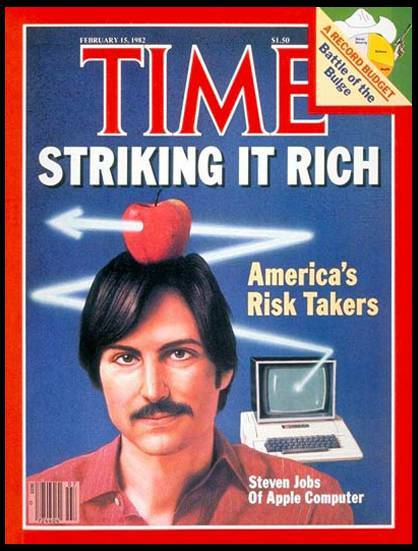 Technology was becoming a consumer-facing industry and Silicon Valley was becoming “Silicon Valley” in the popular imagination in the early 1980s; Time Magazine named the computer as its machine of the year in 1983. The hype surrounding the PC’s rise set a pattern that would continue in subsequent periods of corporate venture capital activity: a new, “can’t miss” technology breaks through in the market, generates enthusiasm in the business community and broader culture, and ultimately helps stimulate investment activity. Early tech success stories like Microsoft and Apple were celebrated by the press, and their founders, Bill Gates and Steve Jobs, came to represent a new kind of businessmen in a culture still dominated by the staid image of the company man. 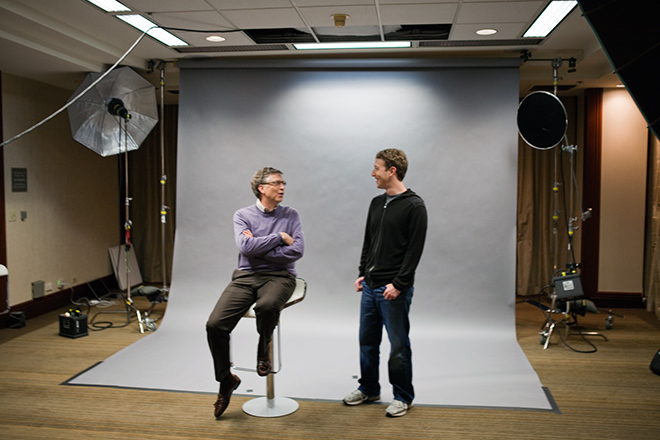 Gates and Jobs were already near-celebrities, a whiff of counterculturalism about them. As a result, entrepreneurship became a buzzword for the first time. Nearly 160 schools now offer courses in entrepreneurship — up from 16 in 1970. At Harvard — training ground for the new generation of business leaders — nearly two-thirds of all students take the entrepreneurial management course and, last year, 80% of first-year Harvard students said they wanted to own and manage their own business someday. Some of the people are going into business not because they have a fundamental belief in American capitalism, but because they have a social mission. Young people by the droves — refugees from corporate life, career-minded housewives and the cream of the business school elite — are turning their backs on giant corporations and going it alone. In doing so, they have pushed forth America’s inventive edge and are restoring vitality to an economy that, far too often in recent years, seemed to have lost its competitive might. As is often the case in the history of CVC, corporate investors largely followed the lead of private venture capital, which was reinvigorated by favorable regulatory changes in the late seventies. Private VC received a big boost in 1978 when the capital gains tax was significantly reduced, and then again in 1980, when it was lowered once more, incentivizing investment and creating a boom in venture capital. This increased the pool of capital available to entrepreneurs, incentivizing entrepreneurship, and creating a positive feedback loop. Between 1977 and 1982, the amount of money dedicated to venture capital grew from $2.5B to $6.7B. Corporate funds accounted for a significant portion of this capital. Money from public corporations accounted for 41% of the $2.5B dedicated to the diminished venture capital industry in 1977, which includes both active corporate investors and passive investments by corporations in independent VC firms. By 1982, that figure had fallen to 27% of the $6.7B dedicated to venture capital, which nonetheless still represents an increase in overall corporate dollars. Companies employed several models in pursuing corporate venture capital programs during this period, often pursuing multiple strategies at once. Some companies preferred an indirect approach. Many companies simply gave their money to independent VC firms. Around 100 companies used this approach in 1987; by 1989, $483M of corporate money was invested in independent VCs, 20% of the total. Internally managed CVC funds also grew in popularity over the decade, rising in number from 28 in 1982 to 76 in 1988. Some corporations made direct VC-style investments outside of any dedicated CVC fund; corporates made 245 such deals in 1985, up from 30 in 1980. Others pursued more idiosyncratic strategies. Eastman Kodak, for example, used a significant percentage of its $80M CVC fund to finance internally developed employee ideas that fell outside of its core business. 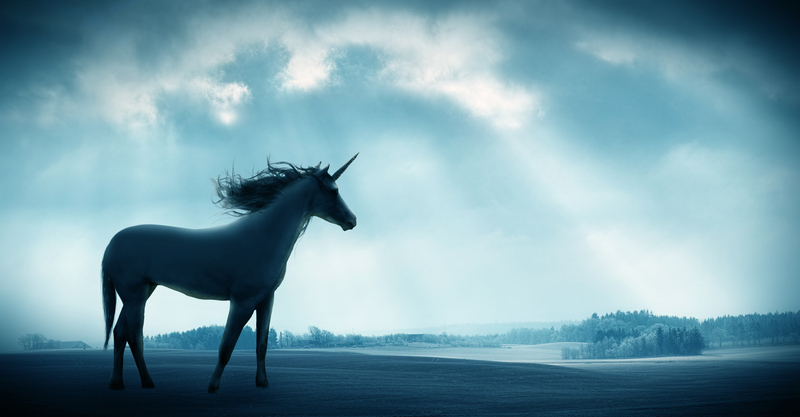 The motivations behind the second wave of corporate venture capital largely mirrored those of the first: companies wanted access to technology, sometimes as means for diversification or sometimes to expand into adjacent product lines, albeit in a more disciplined, less wide-ranging fashion than during the first wave of CVC, rationalizing that CVC was often cheaper and more profitable than outright acquisition. Access to technology could also mean protecting or hedging against existing technologies. When the tech industry was looking for alternatives to silicon-based chips, Analog Devices, a maker of silicon-based chips, started a CVC program to invest in competing technologies. No alternative was found and Analog Devices’ investments largely failed — but the company would have been well-positioned had an alternative emerged. Given some of these motivations, the parent corporate’s strategies were not always beneficial for the startups they invested in. General Motors, for example, invested in five machine vision companies in order to create technology that could automatically inspect parts on the assembly line. The company pushed these companies’ product development strategy to meet GM’s needs until finally they decided to abandon the tech and cut spending on the products, effectively abandoning the companies. While the second wave of CVC was largely focused on the technology industry, this was not exclusively the case. Colgate, Raytheon, and GM, for example, had CVC programs. General Electric still had its CVC fund from the first wave and invested in a number of successful tech startups. Xerox, Johnson & Johnson, Dow, WR Grace, and Motorola likewise maintained CVC programs from the first wave. There were also a number of robust CVC investors among metal and chemical companies, such as Dow and WR Grace. One of the most active CVC investors of the period was Lubrizol Corporation, a chemical company, which invested in, among other companies, Genentech, which was backed by Kleiner Perkins Caufield & Byers and was one of the giant exits of 1999, when it went public with a $10.8B valuation. In addition, the second wave of CVC was when, for the first time, foreign companies, especially from Japan, instituted CVC programs as well, although the investment was still largely confined to the US. Japanese companies made 60 investments in US-based companies in 1989, and their share of US-based CVC programs rose to 12% from 3% in 1983. Mark Radtke of consulting firm Venture Enterprises told The New York Times in 1986 that foreign corporations viewed VC as “an easy way … to effect a technological transfer,” i.e. gain access to new American technology. There was also some investment flowing in the opposite direction. For example, Monsanto, DuPont, 3M, IBM, and Apple teamed up to create a client-based fund focused on European investments. One of the most prominent corporate investors of the second wave was Xerox, then one of the most cutting-edge companies in Silicon Valley, partly because of its famous Palo Alto Research Center (PARC). Xerox had had an active CVC program since the 1960s, operating an internally managed fund that invested in some of the most legendary figures in Silicon Valley, including Raymond Kurzweil and Steve Jobs. Kurzweil got his start in technology when Xerox invested in his first company, Kurzweil Applied Intelligence Inc., in 1982, to develop a computer that could transcribe spoken English. The idea behind the investment was to create technology that would increase demand for Xerox’s printing products when it ultimately hit the market. When Apple released its revolutionary Macintosh computer, some observers claimed that it had commercialized technologies first developed at Xerox PARC, such as the mouse, windows, and icons, even dating the origin of the supposed copying to a 1979 visit to the lab by Jobs and other Apple employees — the tour is considered a seminal event in Silicon Valley lore. Although the accusation that Apple outright copied its ideas for user interface from Xerox is generally refuted today, the revelations stung Xerox’s management. The company was eventually spurred into rethinking its CVC program in an effort to better capitalize on the company’s languishing in-house technologies. 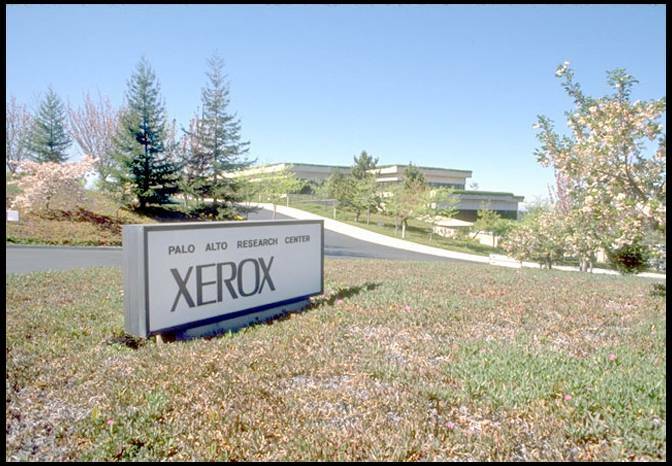 Xerox started Xerox Technology Ventures (“XTV”) in 1988 to exploit and monetize the technology created in PARC and its other research labs, funding it with $30M. The company’s chairman said at the time that it was “a hedge against repeated missteps of the past.” Apple was one of several examples in which technology initially developed by Xerox was commercialized by more nimble competitors.5 These “missteps” were prominently highlighted in a book released that same year, Fumbling the Future: How Xerox Invented, Then Ignored, the First Personal Computer. XTV was modeled on the structure and practices of independent VC firms, one of the earliest examples of a quasi-independent CVC unit like what we see today: Managers were given flexibility to act quickly on investment decisions, were allowed to invest $2M without asking for permission, had autonomy to monitor, exit, and liquidate investments, and were charged to maximize ROI. And in keeping with a typical VC firm, there was a compensation scheme that recognized big winners who drove results and thus rewarded greater risk taking. Between 1988 and 1996, XTV invested in more than a dozen companies created from Xerox’s existing technologies. 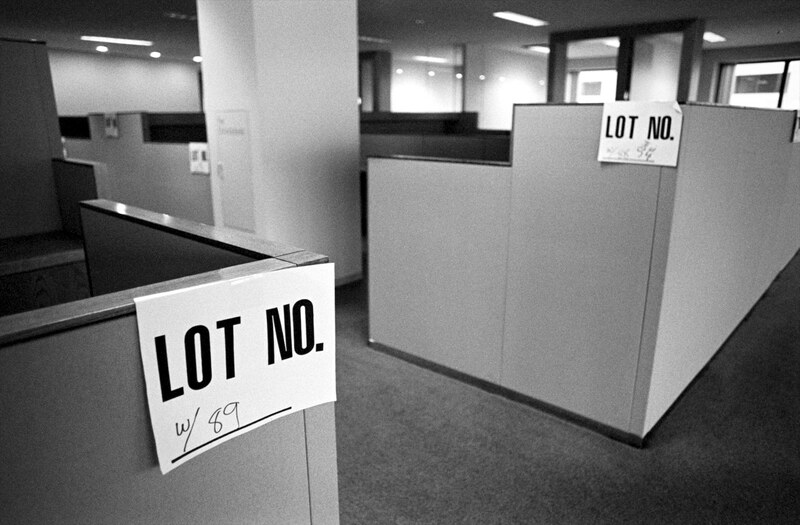 The companies were staffed with outside employees and allowed to make their own technological decisions, and Xerox never intended to maintain control of the companies, and involved outside VCs as the companies grew. Nonetheless, XTV was terminated early and replaced with Xerox New Enterprises, which did not relinquish control of firms or allow for outside investment, and likewise used a more standard corporate investment compensation scheme. Why was it scrapped despite the successes? XTV had created a lot of internal strife at Xerox, partly because of its compensation structure, which lavishly rewarded XTV’s executives, creating tension with other Xerox managers, a common problem for CVCs. In addition, some believed that XTV startups succeeded at the expense of other Xerox units while utilizing Xerox resources, which further undermined the VC unit. 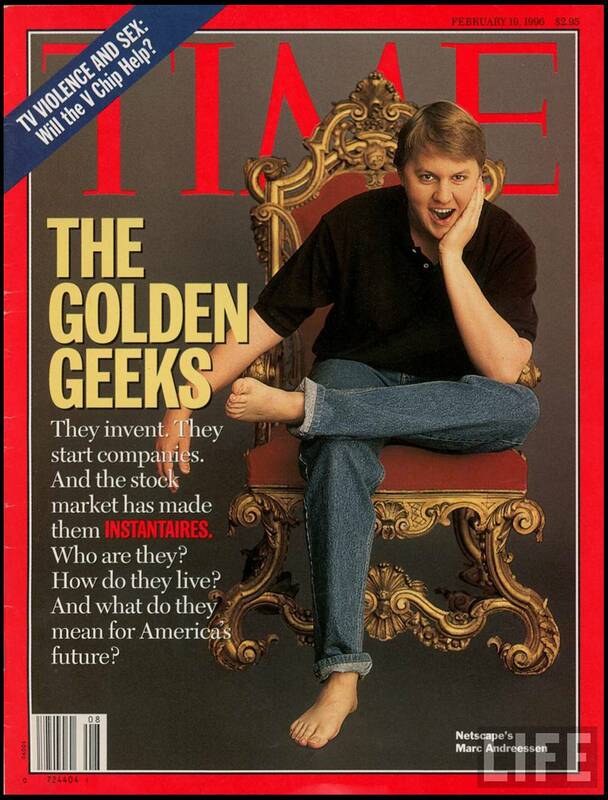 If Time Magazine’s “Machine of the Year” presaged the second major CVC wave, a different magazine cover more than a decade later augured the beginning of the third wave of corporate venture capital. 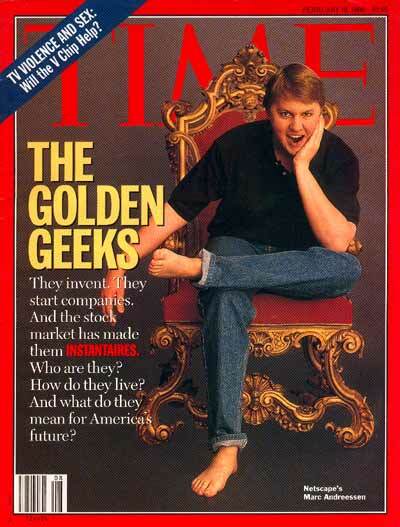 The dot com boom had begun. If the personal computer was the breakthrough technology that drove the second wave of corporate venture capital, the internet was undoubtedly the impetus behind the third wave, which far outpaced its predecessors in scope and size. 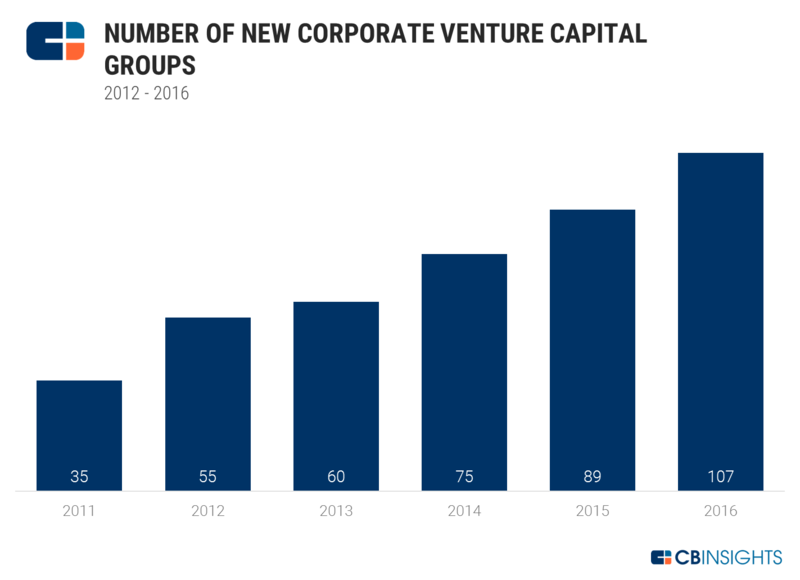 In 2000 alone, more than 20 new CVC groups made their first investment, according to CB Insights data. Nearly 100 CVCs made their first investments in the years between 1995 and 2001. Total dollars from deals involving CVCs grew to approximately $17B in 2000, or 25% of total funding to VC-backed companies in that year. CVC also continued to internationalize during this period, even as the US remained the most important market. Between 1990 and 1999, 71% of CVC investors and 75% of CVC firms were located in the US; the real percentage of US-based firms may have been even smaller because some foreign corporations set up their CVC units in the US.12 Large Japanese companies, for example, began the practice of sending executives on work rotations in the offices of private VC funds they had invested in to bring the gleaned information and experience back to headquarters.13 American companies, conversely, began to use CVC as a means of accessing foreign markets or foreign technology. Part of the reason for this enormous growth in CVC activity was, as always, hype building on hype. As Paul Gompers and Josh Lerner write in The Venture Capital Revolution, the publicity around early high-profile success stories like eBay and Yahoo “triggered the interest of many CEOs, who sought to harness some of the same energy in their organizations.” However, it also reflected real changes in the broader business environment. CVC was thus a natural way for companies to access alternative R&D, allowing them to outsource at least part of their research and development to smaller, nimbler startups. Pharmaceutical companies and freshly ascendant tech mega-companies emerged as major CVC investors during this period. The scale of companies’ individual CVC programs far outstripped anything that had come before. In September 2000, for example, the German media conglomerate Bertelsmann AG pledged $1B to a fund investing in new media startups — which, even if it was only a pledged figure, exceeded the size of total CVC investment at the height of the second wave. The growth of CVC also accentuated some of its internal contradictions, notably around issues of compensation. Independent VCs were minting fortunes during the tech boom, seemingly overnight, far exceeding anything that had occurred prior. Many CVC programs, however, did not offer compensation structures like those of traditional VCs. CVCs couldn’t justify the enormous payouts to individual senior investors associated with successful VC investment and as a result companies would often train or develop CVC investors, only to see them jump to independent competitors in search of more lucrative compensation. GE Equity, for example, lost a total of 18 investors between 1998 and 1999, many of whom went to leading VC firms. Despite this tension, this period saw closer collaboration between corporate and private venture capital investors than in any of the previous waves. This occurred because the VC market was overcrowded, and partnerships with corporations offered independent VCs a competitive advantage, according to Gompers and Lerner. These partnerships often went beyond investment syndicates. Kleiner Perkins, for example, set up a Java Fund as a way for companies to stimulate demand for the technology by investing in companies creating Java-based applications, which held the promise of being compatible with multiple operating systems. Investors in the fund included Cisco Systems, Compaq Computer, IBM, Netscape Communications, Oracle, Sun Microsystems, and Tele-Communications Inc. These companies wanted to legitimize the language, which had the potential to break Microsoft’s chokehold on application development. Others sought to benefit from the advantages of bringing private and corporate venture capital together. Texas Instruments, for example, partnered with independent VC Granite Ventures to create a fund, TI Ventures. The fund was directed to invest in strategic companies for TI, but within that, Granite focused on maximizing financial returns. Approaches to CVC also began to change during this period. CVC was once about entering new markets or expanding product lines, but this new third wave of CVC focused on defending and supporting existing product lines by fostering a healthy business environment and ecosystem around those products. No company better exemplifies this strategy than Intel Capital, arguably the most successful longstanding CVC program. Intel Capital was founded in 1991 as a way to centralize Intel’s external investments, which had previously been handled by each individual business unit. While the venture unit initially focused on filling in gaps in its product line and rounding out its technology, it broadened its mandate in the mid-1990s to invest in the wider ecosystem surrounding Intel’s product offerings with the goal of improving market conditions. Intel Capital would be investing in “companies building technologies that supported, were sold alongside, or improved the value of Intel’s products in the marketplace,” according to a Harvard Business Review case study. This also included companies that stimulated demand for Intel’s products in the market. Intel’s strategy was often to invest in multiple startups competing in the same market, which irritated some independent VCs who typically don’t invest in competing companies. But Intel was more committed to stimulating emerging technologies and market sectors rather than the success of any individual company. While this could, in theory, be off-putting to entrepreneurs, many were nonetheless eager to access Intel’s extensive resources and technical expertise. 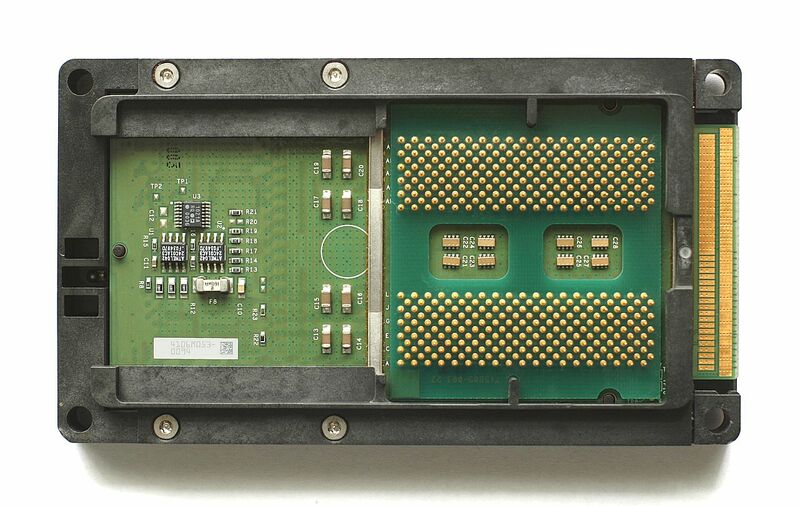 Among the companies backed by Intel Capital were Broadcom, Clearwire, and Research in Motion. In 1999, for example, Intel started the Itanium 64 Fund, a $250M fund that invested in companies creating products using its Itanium 64-bit processor. Intel took a similar strategy in October 2002 when it wanted to encourage the adoption of wireless technologies using the 802.11 network standards, unveiling a $150M fund to invest in companies developing products that would boost the adoption of Wi-Fi networks, which would boost the sales of its new Centrino chip sets. Part of Intel’s success is also attributable to the fact that it focused on long-term goals, insulating itself from the boom-bust cycle that hurts so many CVC investors. Intel Capital was founded at a time when most other VC investors, independent and corporate, were pulling back. It certainly didn’t hurt Vadasz’s standing and ability gain the trust of his peers at Intel that he was Intel’s fourth employee and had previously run every major business unit at the company. At the height of the boom in 2000, Intel Capital posted gains of $3.7B, accounting for one third of Intel’s total profit. However, it then experienced 10 successive quarters of losses that nearly wiped out those gains — but kept on investing throughout, and was again posting profitable quarters by early 2004. Despite its financial success, Intel’s investments have always been based on strategic value, never solely on potential returns. Also notable is that Intel’s investment program was more robust that most other CVCs: Between its founding in 1991 and 2005, it had invested over $5B in more than 1000 companies — a rate of investment which surpasses most independent VCs. It also had a more international focus than other CVCs, investing more than 40% of it funds internationally. This often meant investing in companies that were improving internet access in international markets in the hope that it would increase PC sales and thereby demand for Intel’s products. A smaller portion of Intel Capital’s funds, about 10%, was devoted to poking around the marketplace for potential threats and opportunities years down the line. Intel overcame the compensation issue internally by putting senior employees who were already deeply invested in the company in charge at Intel Capital. These individuals also had the institutional knowledge necessary to align Intel’s investments with the company’s overarching strategy. While Intel Capital did not take board seats, its observers did play an active role in shaping portfolio companies’ strategies and success in the market — in a way that stimulated synergies with Intel’s products and strategies — and provided portfolio companies with significant resources, including direct access to Intel’s executives. It also, crucially, had the support of management. As mentioned, Intel Capital’s president, Leslie L. Vadasz, was one of the company’s original employees. All of this meant that Intel was uniquely well-positioned when the inevitable downturn arrived. The third wave finally ended with massive declines in the stock market. Between March and May of 2000, the Nasdaq fell 40%. It clawed back about half of that loss by September, before losing another 50% through April of the following year. Many public tech companies went bust, as well as many tech startups that depended on a robust financing and IPO market to finance their expansion. Because most CVC units are funded through the balance sheet, CVC investors are often required to use mark-to-market accounting, and as a result had to write down enormous losses during this period. While this method of accounting does not necessarily reflect real gains or losses, it can produce jaw-dropping headlines that nonetheless scare off executives and shareholders. Corporations were forced to write down $9.5B of venture related losses in the second quarter of 2001 alone. Microsoft wrote off more than $5.7B in 2001; Wells Fargo wrote down $1.2B; even Intel, previously impregnable, wrote down $632M. Numerous companies, including Microsoft, AT&T, and News Corp, shuttered their CVC units; Amazon and Starbucks, among others, decided to no longer invest in startups; others liquidated their holdings in fire sales. As a result of the losses and write-downs, some companies faced pressure from large shareholders and activist investors who questioned the propriety and wisdom of CVC programs. However, not all companies pulled out of the market. Biotech and pharmaceutical companies, in particular, retained robust CVC programs throughout the early part of the decade. Shell, Mitsubishi, and Johnson Matthey, for example, came together to form a CVC fund investing in fuel cell technologies as late as 2002. Even if CVC was momentarily discredited in the eyes of many, the boom in CVC investing had given observers a broader set of data than ever before to provide insights about the phenomenon, to understand its successes and failures. Some of the data was encouraging. Paul Gompers writes in The Venture Capital Cycle that between 1982 and 1994, firms backed by CVC were more likely to go public than those that were not. However, CVC investments did not, in general, outperform those of independent VCs, unless there was a strategic tie between the investing corporation and the startup. What doomed many CVC programs of the period, most researchers agree, was a lack of strategic focus and clearly defined objectives. Many companies started CVC programs because it seemed, at the time, that any serious company had a CVC program, and everyone was doing it, not because they carefully thought through how such a program could improve their business — a problem compounded when outside investors were brought in to run the program. Companies wanted access to Silicon Valley without really knowing how Silicon Valley could be of service to them. They just knew it represented “The Future.” In other words, they were engaged in what CB Insights has dubbed “Innovation Theater.” Even if these programs had strategic objectives, the frothy atmosphere of speculation often meant that financial returns clouded out their original focus. As a result, they were swept away by the moment and over-invested in flashy startups with unclear benefits to the parent company’s core business. Then they were caught off-guard when everything went bust. Even if CVC garnered a bad reputation in some corners, though, there were still enough successes to convincingly demonstrate its importance and vitality in the right hands. It was always clear that CVC investing would one day make a comeback with the improved fortunes of the tech industry — but would it return again only to get caught up in the hype? While corporate venture capital fell off substantially after the bubble burst, it by no means disappeared. CVC as a percentage of total VC was halved, but CVC investment leveled out at about $2B per year through the first half of the decade, then began to increase again before dipping, along with the rest of VC investment, during the worst years of the global financial crisis — dollars from CVC-backed deals reached only $5.1B in 2009 — then took off when Silicon Valley began to boom again in the first half of the current decade. 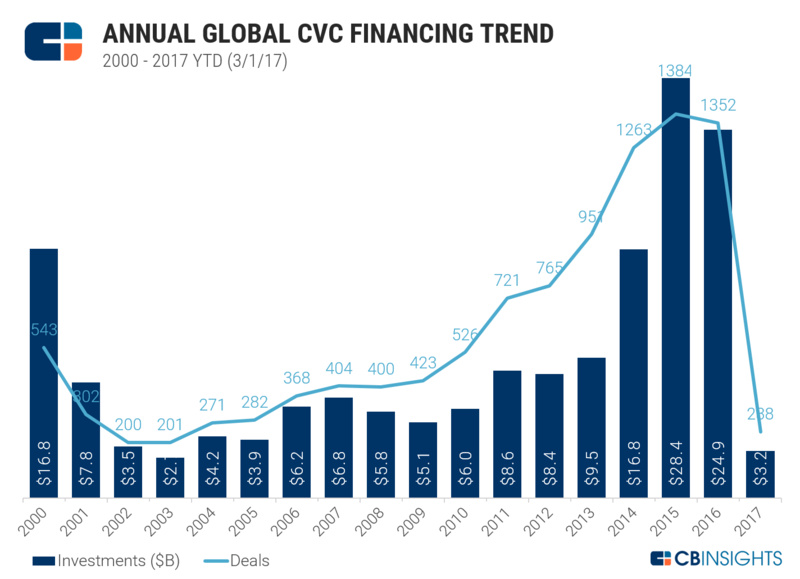 In 2012, for example, total funding from deals involving CVCs was $8.4B, according to CB Insights — a significant increase from 2009, but still less than half of total CVC investment during the boom years. It remained at roughly that level in the following year before doubling in 2014, and then jumping nearly 70% in 2015 to an unprecedented $28.4B. This trend reflects the broader increase in venture capital investment, which has more than doubled since 2011 and saw significant gains between 2013 and 2014 and 2014 and 2015. 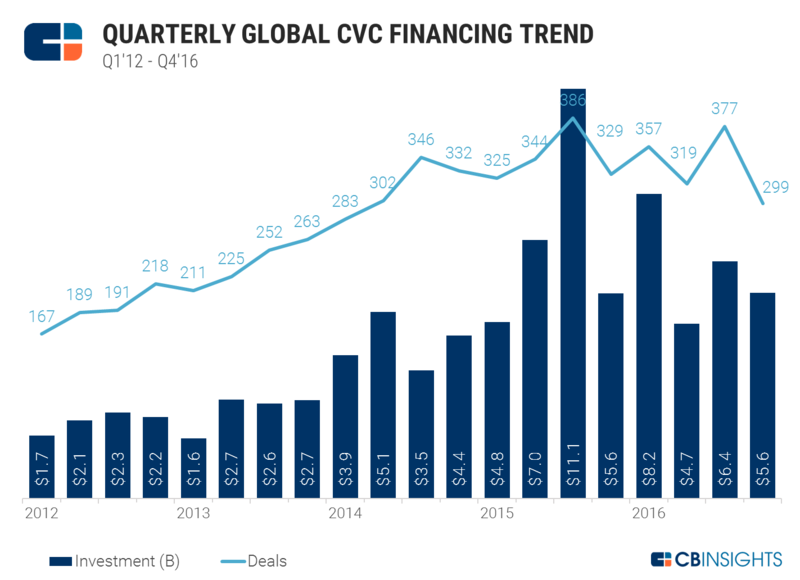 At this point, though, CVC is actually growing at a faster rate than venture capital investment in general. 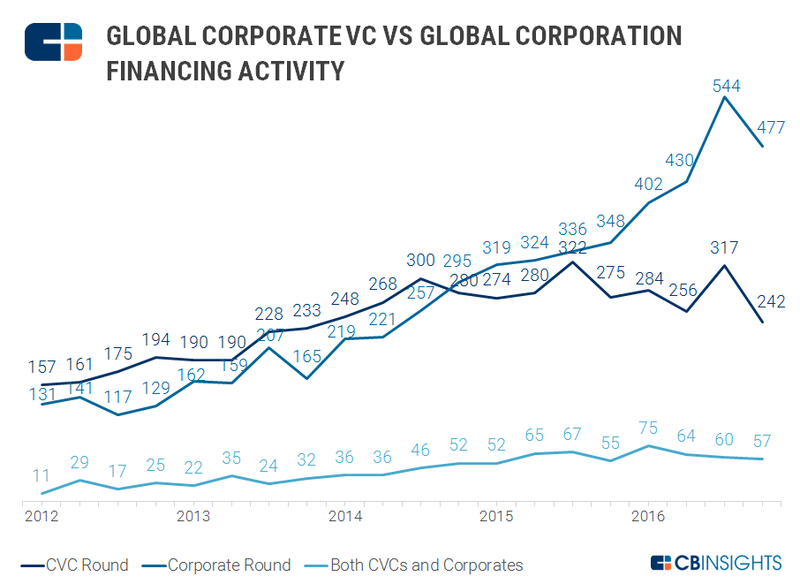 But it only captures part of the picture: corporate financings of private companies, done outside of a CVC unit, have also seen substantial increases in recent years. The obvious impetus for CVC’s resurgence was the dual rise of social media and the smartphone, most prominently represented by Facebook and the iPhone. Together, internet and mobile accounted for 63% of CVC dollars by the final quarter of 2016. Healthcare now also regularly tops software and hardware, both tech boom darlings, as a destination for CVC dollars. Another factor encouraging CVC activity is that corporations are sitting on historically large piles of cash and global interest rates are historically low. With the benefit of hindsight, two other events may have played a small role in nudging companies back into corporate venture capital. The first was Microsoft’s 2007 investment in Facebook, which was widely ridiculed at the time — ”Microsoft has to be seriously desperate to be considering this much of an investment for so little, even with its bags of cash to spend,” wrote Kara Swisher on the eve of the deal. Microsoft paid $240M for a 1.6% share of Facebook at a valuation of $15B. The company is valued at more than $300B today and the investment connected the by-then tech stalwart with the hottest startup in the world in the process. The second spark that helped CVC’s resurgence was Google’s 2008 decision to start Google Ventures, likewise derided by some. The outfit has since grown into one of the largest and most respected CVC investors — a strong endorsement of the idea from one of the world’s most successful and innovative companies. The recent expansion of CVC investment is impressive. There are now, as we saw, roughly 200 CVC units active in any given quarter, a number that is more than 2x what it was just five years ago. Some companies that ditched their CVC units after the bubble burst have decided to give it another go. Dell closed its CVC unit in 2004 and reopened a new CVC unit in 2011. Microsoft, likewise, is revamping its CVC efforts. 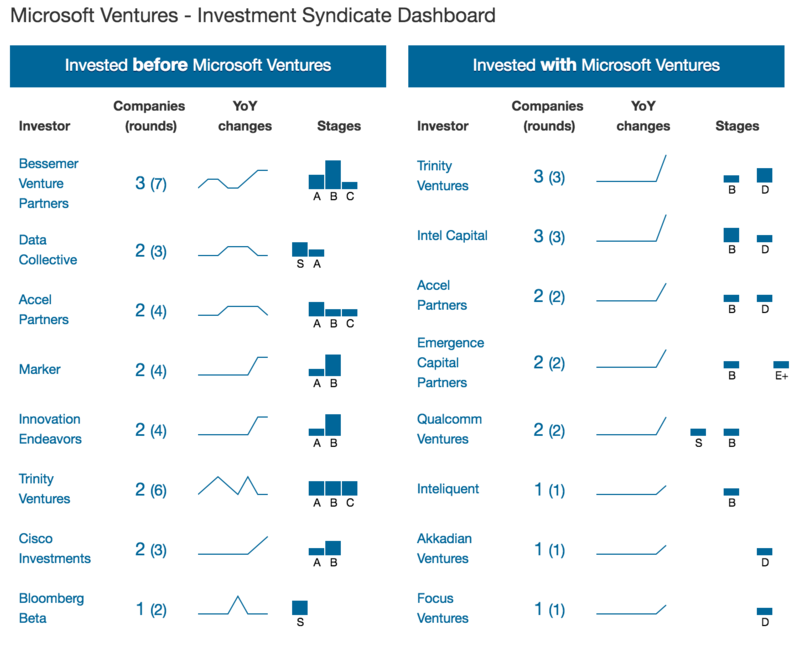 While Microsoft had an ad hoc corporate venture capital program in the 1990s, making minority investments in startups without a formalized CVC program, the new Microsoft Ventures unit represents an example of a mature model for corporate VC, pioneered by large technology companies and since adopted beyond the industry. Large write downs and losses following the tech bust, mentioned above, largely curtailed Microsoft’s ad hoc approach, although Microsoft did continue to make intermittent investments in startups, such as its 2007 investment in Facebook. At the beginning of 2016, however, Microsoft decided it was time to ramp up their investing activities and founded their first structured CVC program, Microsoft Ventures. Nagraj Kashyap, formerly the head of Qualcomm Ventures, was brought on to spearhead the effort, and he has hit the ground running. In 2016, Microsoft Ventures invested in 18 companies, far more than Kashyap initially expected when he took on the job. The selection of Kashyap, who has been working in CVC for more than a decade, signified Microsoft’s intentions for the group. That does not mean, of course, that Microsoft Ventures will be investing in coffee startups or lifestyle brands. On the contrary, it is focused on enterprise startups providing business-to-business services, such as companies building next-generation cloud infrastructure, companies that help enterprises migrate to the cloud, and all sorts of business-oriented SaaS; thus far, enterprise startups account for approximately 90% of Microsoft Ventures’ investments. Microsoft Ventures makes the necessary introduction and then an internal business development team, staffed by Microsoft employees, manages its portfolio companies’ interactions with Microsoft. The investment team, however, is staffed by investment professionals, some of whom previously worked at other CVCs, like Intel Capital, or for independent VC firms, and they are expected to evaluate startups as any other VC would, without regard to a startup’s potential strategic advantages. Microsoft Ventures has no set investment budget, no limiting fund size, and no minimum or maximum required investments per year. In some regards, this means its investors have an even greater level of flexibility than their counterparts at independent VCs, highlighting a potential advantage of CVC. It has the autonomy to invest more or less in a company, take a large or small ownership stake, and invest in as many good opportunities as it can find. They have made good use of the flexibility thus far. Microsoft’s 18 deals in 2016 are more than many robust independent VCs typically make per year — and the group was only founded towards the end of January. Kashyap says that the market has gradually improved over the course of the year as valuations have become more rational than in recent years and entrepreneurs have accordingly lowered their expectations. 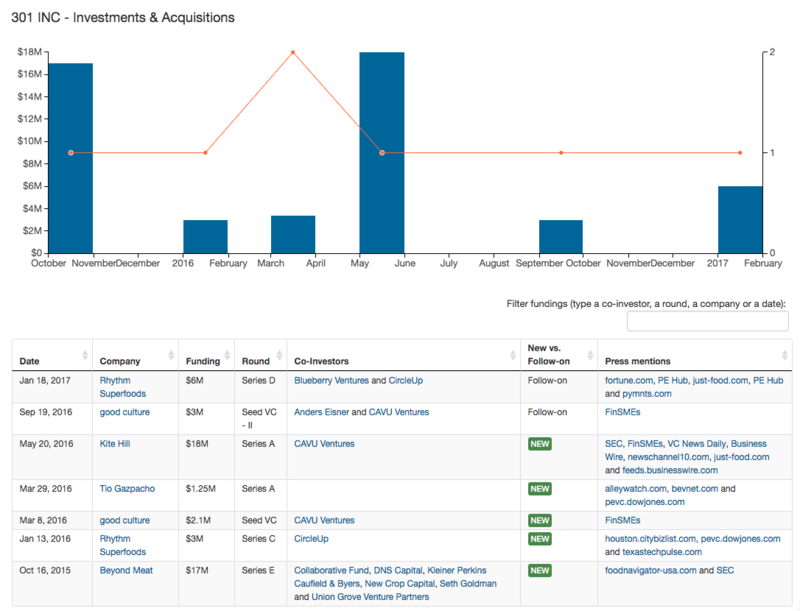 As can be seen from the snapshot from CB Insights’ Investor Analytics tool below, Microsoft often invests after top VCs such as Bessemer and Data Collective, and also sees VCs and CVCs like Trinity Ventures, Intel Capital, and Accel invest in its portfolio companies. Kashyap believes that market conditions have fundamentally changed since the end of the last tech boom and there is unlikely to be a shakeout as brutal, despite concern over a unicorn-era bubble. Many CVC investors back then were looking for quick returns from portfolio companies’ IPOs — the criticism that they were short-term players was largely true, he says. Today, however, the IPO market is much less robust, meaning CVC investors can no longer expect an instant return on investment, and corporations’ balance sheets are generally much stronger — corporations are sitting on record levels of cash in a historically low interest rate environment — meaning that they can afford to focus on longer-term goals and let the companies they’ve invested in mature over time. Skepticism on the part of entrepreneurs and other VCs is justified, because not all CVC investors share their principles. While some of these immature investors will undoubtedly disappear as the market cools and others will pull back, it is unlikely that we will see the sort of enormous drop-off in CVC investing that occurred in the early 2000s. Meanwhile, the music has not yet stopped playing, despite the downturn in VC activity in 2016. More than fifty new CVC units were started in the first half of 2016 alone. 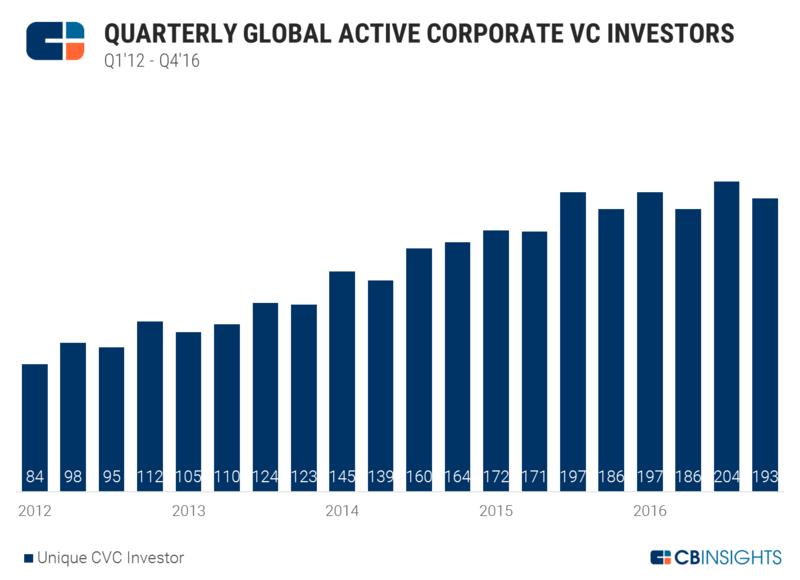 The number of active CVC investors per quarter more than doubled between 2012 and 2016, according to CB Insights. However, despite assurances from CVC investors that they are pursuing smaller, more nimble investments than during the tech boom, CVCs on average actually invest in larger deals. In the second quarter of 2016, CVC units participated in 19% of VC deals, but those deals represented 27% of VC investment dollars. CVC has, however, grown up in the meantime, meaning that there is more institutional knowledge and more resources for companies just starting out. According to a survey of CVC investors, about half have processes in place to solicit and incorporate feedback from other stakeholders at their parent corporations. Two-thirds have a dedicated budget, and 80% complete more than five deals a year. CVC has, to some extent, standardized. The mix of strategic and financial objectives continues. Four-fifths say they are primarily looking for strategic alignment in their startup investments, but three quarters also list financial considerations as a core objective. Some companies, it should be noted, employ multiple types of funds and investment strategies. Cisco Investments, for example, makes direct investments and acts as a limited partner in a number of independent venture capital funds. Microsoft Ventures, referenced above, is an internal dedicated fund. Others are like more elaborate iterations of the “client-based” funds first pioneered in the 1980s, i.e. external funds which may be managed by an independent investment team, but that are wholly funded by a specific corporate or group of corporates. Unilever and Pepsi, for example, are limited partners in Physic Ventures, a firm whose stated mission is “investing in keeping people healthy” and which is designed to let corporate investors forge commercial partnerships with portfolio companies. 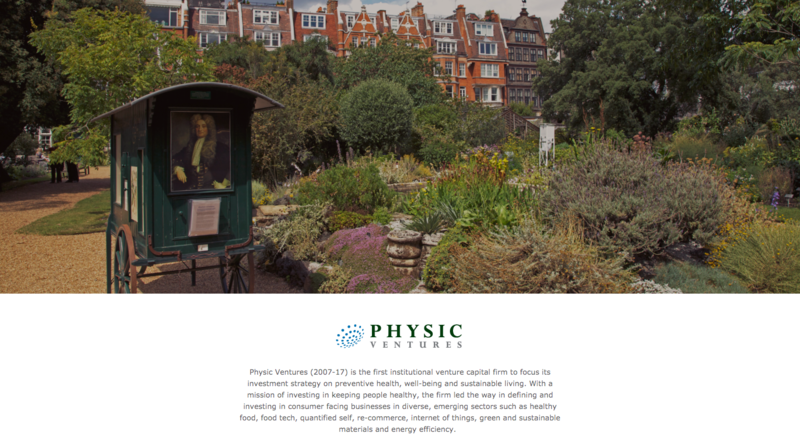 Both companies reportedly have full-time employees working out of Physic Ventures’ offices. Kleiner Perkins similarly teamed up with Apple to create the iFund in 2008 in order to stimulate development for the app store and potentially create more companies that would funnel through KPCB, similar to the fund to spur Java development in the 1990s. Despite the generally positive atmosphere surrounding CVC investment of late, there have been setbacks. OnLive, an online gaming startup backed by Time Warner Investments, AutoDesk, HTC, and AT&T, crashed and burned in 2012 after achieving a $1B valuation. Walgreens and BlueCross BlueShield Venture Partners were investors in Theranos, the highly touted blood testing company that spectacularly blew up last year after a scandal. Other corporate-backed startups have seen steep drops in their valuations lately, including Jawbone, Zenefits, and Dropbox. This could signal the beginning of a broader chill in the market. If and when this happens, many CVC investors will have to write down significant losses — 76% of CVC investment is funded through the balance sheet, meaning that the market value of these investments must be reflected in company filings. Even if these do not necessarily reflect real losses, the numbers will raise eyebrows and fresh questions about how worthwhile CVC really is to the corporation. Some companies have publicly stated that they will continue investing even if there is a downturn — but that is, of course, easier said than done. Nonetheless, some are putting their money where their mouth is. Sapphire Ventures, formerly SAP’s CVC arm, and still solely backed by SAP, recently raised a $1B fund. There are also important structural differences in CVC between the dot com era and the current tech boom. Many of the largest CVC investors in the past few years are not upstart units blundering into the market, but rather the CVC arms of blue chip tech companies, many of which rode out the last downturn and kept on investing, like Intel Capital and Cisco Investments. This makes them well positioned to capitalize on the current upswing. Other large CVC tech investors, like Google and Salesforce, started their funds more recently, in 2008 and 2009, respectively, but were already investing heavily in the market before it really heated up. 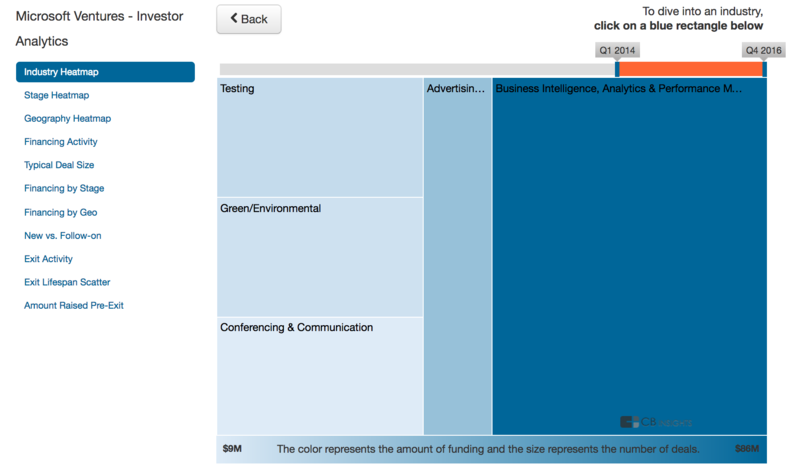 Salesforce has substantially increased its investments to more than $500M, from $27M in 2011. Many of the large investors subscribe to some variant of Intel Capital’s approach to corporate venture capital. Salesforce, for example, has been funding enterprise companies in order to stimulate the ecosystem of its core product. Comcast invests in a variety of content companies that complement and could possibly be incorporated into its core offerings, as well as technical companies that augment its core competencies. It is true that there have been new CVC units from companies far from the Silicon Valley ethos, such as 7-Eleven, Campbell Soups, and General Mills, and this has raised some eyebrows. However, the success of a CVC program is not contingent on its proximity, geographically or spiritually, to San Francisco. Companies across numerous industries face fresh challenges from a rapidly changing world, much of which, indeed, is rooted in Silicon Valley, but not exclusively so. American consumers, for example, have recently shown an inclination towards healthier foods, embracing some ingredients — kale, quinoa, acai berries, etc. — and rejecting others — gluten, some dairy and meat products — in a way that would have been nearly impossible to predict a decade ago. This is obviously a concern for a food company like General Mills. Rather than exclusively relying on internally generating new product lines to meet these changes — a long and time-consuming process with no assurance of success — General Mills is using its new venture arm, 301 INC, to invest in food startups like Kite Hill and Rhythm Superfoods that already have a foothold in the market. Given its expertise in marketing and distribution, this is a natural extension of General Mills’ institutional knowledge, much more so than Sand Hill Road stalwarts investing in coffee companies and grilled cheese startups — which is not to say that it will succeed. Corporate venture capital is, in a sense, getting back to roots, moving beyond its strong association with the technology industry that has come to predominate in recent decades. In doing so it has underlined what corporate venture capital actually is, at its essence: a tool for augmenting a company’s products and strategies, present and future. For many reasons, that often includes Silicon Valley, but it does not mean that CVC is an easy way to access its buzziest technologies. 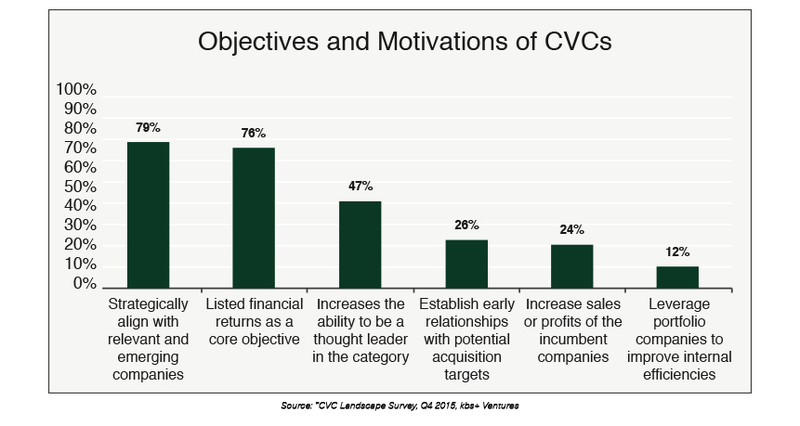 CVC must be informed by an underlying strategy or differentiator. Have corporate venture capital firms learned the lessons of the tech boom, when they piled in simply because the internet was the shiny new thing? Over time, we’ll learn what companies really had a strategy — and which were merely victims of FOMO.